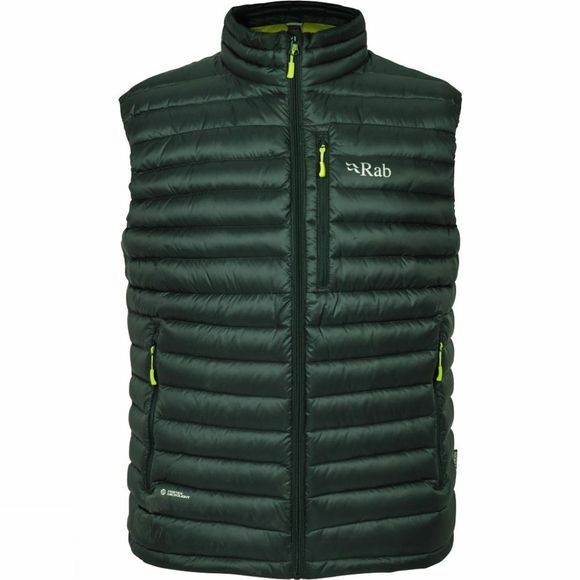 Rab's Microlight Vest is a light-weight, weather-resistant down vest, designed to provide core warmth for a range of activities from fast-and-light alpine activities, to mountain marathons and day-to-day use. A mini stitch-through baffle construction and uncluttered design, makes the Microlight Jacket a perfect layering piece for alpine climbers, or stand-alone use. 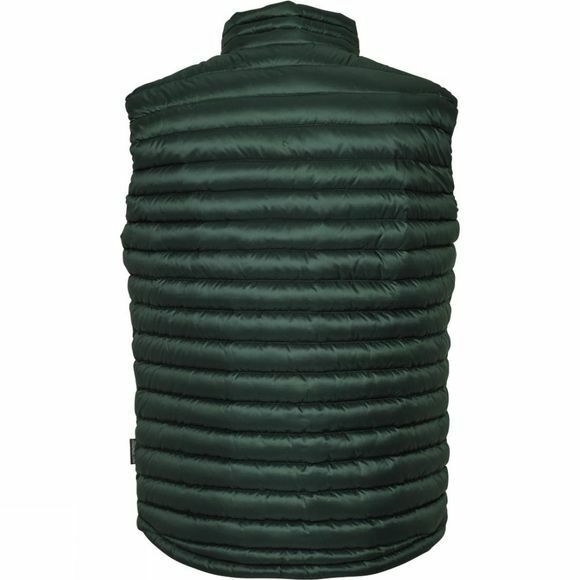 750FP Hydrophobic Down, provides excellent warmth without compromising on weight and is protected by breathable and windproof Pertex® Microlight outer fabric. The Microlight vest features YKK zipped pockets throughout, including an integrated stuff sack, using the chest pocket and Lycra® bound armholes, for secure layering use.